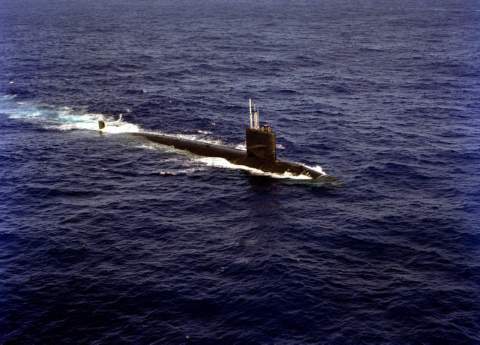 The second Seahorse (SSN-669) was laid down on 13 August 1966 by General Dynamics Corp., Electric Boat Division, Groton, Conn.; launched on 15 June1968; sponsored by Mrs. Paul R. Ignatius, wife of the Secretary of the Navy; and commissioned on 19 September 1969, Comdr. George T. Harper, Jr., in command. Following a Caribbean shakedown cruise and visits to Roosevelt Roads and San Juan, Puerto Rico, and Frederiksted, St. Croix, Seahorse returned to her home port, Charleston, S.C. For the remainder of 1969 and through November 1970, the submarine operated in the Atlantic and Caribbean areas, engaging in local operations and conducting type training. On 30 November, Seahorse got underway from Charleston on her first major deployment, in which she operated in the Atlantic and visited Bremerhaven, Germany, before returning to Charleston on 14 February 1971. For the next four months, Seahorse conducted type training, engaged in air group operations, and made final preparations for an extended Mediterranean deployment. Departing Charleston on 21 June, she arrived at Rota, Spain, on 2 July and continued to operate in the Mediterranean Sea until 4 October, when she headed back to Charleston. She remained in Charleston for the next three and one-half months. On 9 February 1972, Seahorse set sail for a north Atlantic deployment, visiting Faslane, Scotland, before returning to Charleston on 11 May. During the months of June, July, and August, she spent four weeks at sea in the Atlantic providing services for air groups and participating in destroyer operations. In September, Seahorse departed for the North Atlantic to narticipate in NATO Exercise "Strong Express," followed by exercises with Great Britain and Canada in October, and with the Royal Netherlands Navy in November. The submarine returned to Charleston on 5 November, where she continued to operate into 1974.